I have two XBox 360’s; an old Phat one and a new XBox 360E (looked better next to my Xbox One and was for $149 on sale at the time). On both I had the same DLC (Downloadable Content). On the old one however, the harddrive died, so I replaced it with a new one (cheap 500Gb from AliExpress). For one, my Internet connection is horrendously slow, so downloading 34 games was not an option – I gave up after having it sit there, downloading content for more than 48 hours and quite often failing. A possible other reason: The DLC you paid for is no longer available. Yet another reason (for me): You moved to another country and the DLC is no longer available for that region, yet you still have the DLC on your other XBox 360. You could also use this method to make a backup of your XBox 360’s hard drive, just in case it dies in the future. All methods I have found online refer to a special cable you can purchase, or hooking up the drives to your PC. The latter is not always practical, especially when you’re only using laptops and do not have a SATA to USB adapter. Anyhow, in this method we COPY the content, unlike what the XBox 360 likes to do. It standard MOVES content so it can reside on only one device or drive. Or can it …? The only thing needed for this process is a USB drive or stick and of course access to a XBox 360 or two. Note : This method will not allow you to illegally copy DLC from a buddy to your XBox 360, and that is not the intended of this article any way. 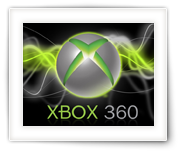 You will need to be using the same XBox Live account on the other XBox 360, otherwise you will have to transfer the license.